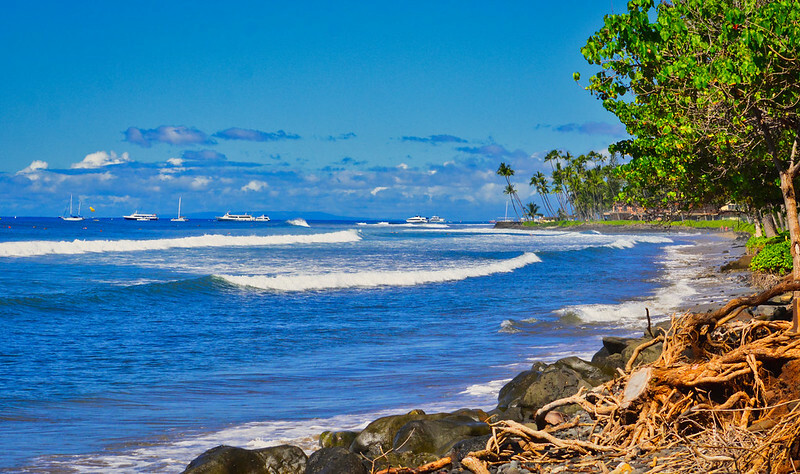 Puamana Park is a great spot for a shady family picnic or a frolic on the slim strand of sandy beach. The park, which is just south of Lahaina, is also the spot where the whaling brig The Carthaginian was sunk to create an artificial wreck and snorkeling attraction. You can also get some nice views of neighboring island, Lana’i. Image published by Kirt Edblom on 2018-11-02 20:24:31 and used under Creative Commons license.